Studio ALTA | Markéta Stránská: FLY! A physical life experience with one leg, one prosthetic leg and two crutches. How much does the narrowing of our base of support influence our physical and mental stability? What’s it like to reach a certain limit? How do we face new possibilities, options placed before us? How do we deal with searching for, discovering and exploring a path that may be unusual, but possible? By changing our prevailing stereotypes? 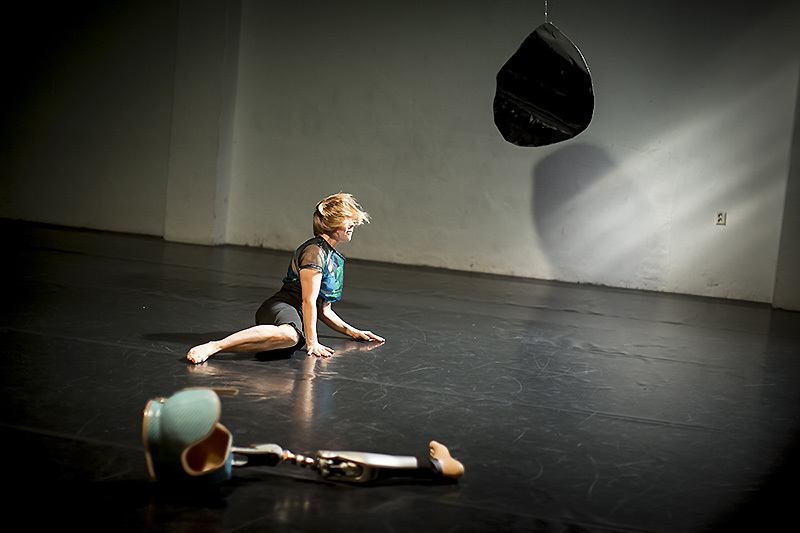 A solo dance performance by choreographer, performer and physiotherapist Markéta Stránská highlights the fact that every divergence offers enriching opportunities and unique avenues, both physical and mental. Every impediment is an occasion to wake up our creativity, playfulness and imagination. Supported by: Ministry of culture Czech republic, Nadace život umělce, Nadace Charty 77 – Konto Bariéry, city Hradec Králové and French Institute in Prague.